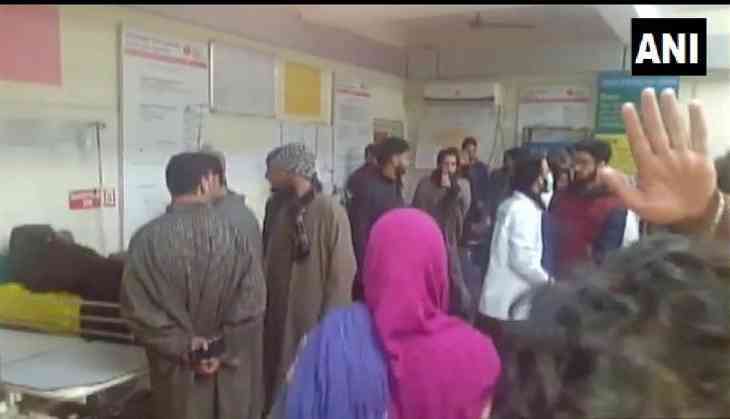 At least 12 students have been injured in an explosion at a private school Falai-e-Millat at Narbal in Jammu and Kashmir’s Pulwama, reported news agency ANI. The students were immediately rushed to a nearby hospital. According to reports, the doctors said all the students are out of danger. The police said they are trying to find out the nature of the explosion. Jawed Ahmed, a teacher at a private school in Pulwama where an explosion has occurred, he said, "I was teaching and then suddenly an explosion occurred. I can't say how many students are injured." “At 2:30 PM, the explosion took place inside the classroom at private school Falai-e-Millat at Narbal, Pulwama. Reportedly, 12 students have sustained injuries, their condition is stable. The case has been registered and the investigation is in progress. Also read: Lok Sabha 2019: Will PM Narendra Modi win 2019 Lok Sabha polls? What brother Prahlad Modi's said is shocking!